Deputies of the National Assembly (NA) discussed various issues related to bills on Trade Arbitration and the Enforcement of Criminal Verdicts during the ongoing seventh session on May 24 in Hanoi, focusing on execution of capital sentence and qualification and authority of trade arbitrators. At the meeting, NA Justice Committee chairwoman Le Thi Thu Ba delivered a report from the NA Standing Committee about the Bill on Enforcement of Criminal Verdicts, which consists of 15 chapters and 174 articles. The most contentious issue for NA deputies was whether lethal injections, firing squads, a combination of both, or another method, should be used in executing death sentences. 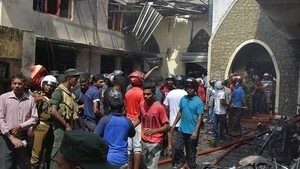 Currently in Vietnam, death sentences are carried out by firing squad. Many deputies, including Nguyen Van Tuyet, of Yen Bai Province, Le Van Hung, of Hung Yen Province, Tran Ba Thieu, of Hai Phong city, Nguyen Thi Kim Tien, of Ha Tinh Province, said they agreed with the bill’s regulation, which would adopt lethal injection as the mode of execution in capital sentences. They said the method is easier to carry out, causes less pain to prisoners subject to execution, keeps the dead body intact, and puts less psychological pressure on the executors. Meanwhile, the use of firing squad puts undue pressure on law enforcement officers and the families of prisoners. Ms. Ba also said that legal injection was widely used in many countries in the world. Deputy Dang Huyen Thai from Hanoi asked the law drafting committee to be more specific about the injection procedures to form a basis for implementation. Meanwhile, Deputies Tran Dinh Long, of Dak Lak Province, and Pham Xuan Thuong, of Thai Binh Province, argued that both forms of legal injection and firing squad should remain as options and that local execution councils should select which modes of execution to use. For example, the use of firing squads could be reserved for especially serious criminal cases, they said. Deputy Nguyen Huu Nhon from Dong Thap Province, meanwhile, advocated that persons sentenced to death should have another option: the electric chair. At the meeting, Justice Committee chairwoman Le Thi Thu Ba also presented a NA Standing Committee's report about the Bill on Trade Arbitration, consisting of 13 chapters and 83 articles. Capabilities, reponsibitilties, and authority of trade arbitrators are among issues that interested NA deputies most. Many deputies, including Tran Viet Hung, of Hoa Binh Province, and Le Viet Truong, of An Giang Province, asked the bill drafters to specify required qualifications for arbitrators. Trade arbitrators must be trained and obtain neceassry diplomas and they must also have good command of foreign languages needed for their work, they said. They said that specific regulations on their qualifications would help increase their credibility and improve efficiency of trade arbitration. 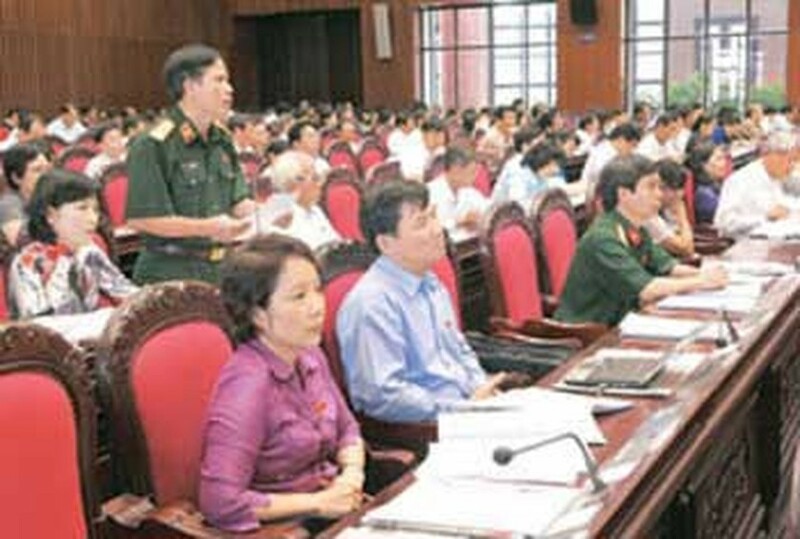 Commening on Article 22 of the bill, which reads: “During the carrying out their duties, trade arbitrators are only responsible for their acts if such acts are made based on their intentional violations of laws,” deputy Huynh Nghia from Da Nang City said lawmakers should eliminate the word “intentional” from the legislation. The regulation should be re-written as follows: ‘Trade arbitrators must be responsible for their judgments during their operation,’ he said, considereing it would help enhance the sense of responsibility among trade arbitrators. Many deputies, including Vo Thi Thuy Loan from Tien Giang, and Nguyen Van Luat from Kien Giang, agreed to the bill that stipulates that a trade arbitration council be empowered to apply “urgently temporary measures,” which will facilitate their work. Meanwhile, Hanoi’s Deputy Nguyen Ngoc Dao disagreed, arguing that such urgently temporary measures must be decided by courts, not trade arbitrators. Regarding Article 9 on negotiation and reconciliation in trade arbitration proceedings procedures, Can Tho Province’s deputy Le Van Tam stressed that negotiation and reconciliation must be seen as compulsory, in settling trade disputes, not optional solutions for related parties as provided for in the bill. Discussing the scope of authority of trade arbitrators, many deputies said the authority should not be extended to the field of civil disputes.